One of the biggest investments in most people's lives is their home. Whether you own a million-dollar mansion in Wellesley or a ranch home in Pittsfield, homeowners in the Commonwealth need to make sure to protect their investment with a Massachusetts homeowners policy. Home insurance is a topic that might not get the blood flowing like home renovations, but it's a critical piece of homeownership. On this page, we'll take you through the basics of home insurance and provide Massachusetts homeowners insurance by coverage level, ZIP code and by company. We have average rates ranked by price for six coverage levels for eight home insurance companies in Massachusetts (Amica, Arbella, MAPFRE, Allstate, Andover, Travelers, Safety and State Farm), so regardless of the type of home you have you can see what you can expect to pay for coverage. You'll be able to figure out how much others are spending for home insurance and see whether there is an opportunity to save on your policy when buying home insurance. We also explain how Massachusetts homeowners insurance laws work. Now, it may seem like everything is more expensive in Massachusetts, but that's not the case when it comes to home insurance. The average home insurance rate with $200,000 dwelling coverage that includes a $1,000 deductible and $100,000 liability costs $1,190. That's 3 percent below the national average. Florida, which has the highest average home insurance rate, is more than three times more expensive than the Bay State. Before we dive into all of the state numbers, let's take a step back and talk briefly about home insurance. To make smart choices, there are several factors to consider when buying home insurance. Liability insurance applies to incidents in which you’re at fault and the result is that a guest in your home or on your property is injured. It covers medical expenses, as well as damage caused to neighbors’ property. Personal liability also covers legal fees if you are sued, as well as any resulting judgments from a lawsuit, up to your policy limits. In addition to choosing a coverage level, homeowners need to know how to select the right home insurance deductible amount. A deductible is what you pay before your insurer pays if you file a claim. So, let's say a storm causes $10,000 worth of damage. If you have a $1,000 deductible, you will pay that first before your insurance company pays the remaining $9,000. Deductibles are often dollar amounts, but some policies' deductibles are based on a percentage of the property's value instead. So, if your home is worth $400,000 and your deductible is 2 percent, you would owe $8,000 before your insurance helps out. Do you know what all four of those ZIP codes have in common? They're all on either Nantucket or Martha's Vineyard. One major reason why it's much higher to insure a property there than say Woburn or Worcester is that there is a better chance of home damage in a strong coastal storm. All of those towns are in the Berkshires and much closer to the New York border than Boston and the east coast. Those are the most and least expensive communities and the average cost for some of the state’s largest cities, but you probably want to check out your area and compare your ZIP code to neighboring towns. You can do that by entering your ZIP code into the search box at the top of the table below. You'll see the average home insurance rates for each ZIP code, as well as the highest and lowest premiums for major insurance companies. Having these numbers will help you understand what others are paying and whether there's a chance to save on your policy. For instance, if you search for Malden (02148), you'll see the average rate is $931. However, the range of the most and least expensive insurance policies vary from $733 to $1,256. You can also change the coverage to figure out the average rate and range if you increase or decrease your dwelling, deductible and liability. Who has the cheapest Massachusetts home insurance? Below are home insurance rates by company for six coverage sets. Based on our rate analysis, you’ll see State Farm has the most affordable rates for the coverage levels analyzed. Much like any major purchase, it's wise to shop around when buying home insurance. Insurers' rates differ. You should get quotes from at least three insurance companies. Doing so can save you hundreds of dollars each year. The Massachusetts Consumer Affairs and Business Regulation has a web page that includes companies selling policies, home insurance company complaints, flood insurance facts and frequently asked questions about home insurance. That's a good place to start to see what's available to you as a Massachusetts resident. Once you're ready, get quotes from at least three home insurance companies. Make sure to ask for quotes for the same coverage so you can compare them. Also, remember the cheapest company isn't always the best. Here are how major home insurance companies in Massachusetts and the Northeast rank overall for claims handling, customer service, value and renewal recommendation, based on a 2017 survey of 3,160 customers. Scores out of 100. Living in New England means frigid winters. As a homeowner, you should protect your house against one of the more common winter-related claims -- damage caused by frozen pipes. Water damage is the most common type of home insurance claim. Make sure to cover and insulate pipes coming into your home. Shut off exterior faucets. Also, it's a good idea to keep your home temperature a few degrees warmer than normal during cold snaps. You may also want to let water trickle continuously from faucets, so there is water flowing through the pipes. If you leave your home unoccupied in the winter, make sure to keep your thermostat set to at least 60 degrees. You should also talk to a plumber about additional precautions to limit the chance of a burst pipe while you're gone, such as a low water cutoff switch. You may even want to shut off water to your home while you're away. Make sure also to have someone check your home weekly for any issues. A burst water pipe can do thousands of dollars worth of damage, so make sure you're protecting yourself and limiting home insurance claims for damage caused by the burst pipe. One common misconception for homeowners is that they believe home insurance covers them for flood damage. It doesn't. Instead, you need an additional flood insurance policy. Flooding is the most common weather-related natural disaster in the U.S. Flood insurance isn't just for people who live along the coastline. Core Logic estimates that 20 percent of Bay State homes have a moderate or high risk of flooding. There are 13 million American homes in a high-risk flood area. Those homes, which make up 23 percent of the nation's housing, have a 26 percent chance of your home flooding over a 30-year period. To put that into perspective, you have a 10 percent chance of your house catching fire during that time. Flooding can strike when you're inland too. In fact, Core Logic estimates that 29 million homes in high-risk areas are not in flood zones. You can get flood insurance coverage through the National Flood Insurance Program (NFIP) or through a home insurance company that works with the NFIP. Mass.gov said the average cost of a flood insurance policy through the NFIP costs $550 a year, but low-risk areas may pay as little as $119. There is no need to shop around for flood insurance. All the companies offer the same quote since the insurance is through the NFIP. A word of warning -- don't wait to get flood insurance. Flood insurance policies usually take 30 days to take effect. So, if you hear a major storm is coming or a springtime thaw melts two feet of snow in your yard, it's too late to get flood insurance. Living along the Massachusetts coast gives you fantastic views, but it also puts you on the frontlines of nor'easters and major storms. Your insurers will decide on whether your home is at risk and needs windstorm protection and homes along the cost may have a hurricane deductible. This kicks in when damage is caused by a hurricane. There are 19 states in the U.S., mostly along the east coast, with this deductible. Hurricane deductibles are usually between 1 percent and 5 percent. If the wind damage is caused by a storm not classified as a hurricane, you may pay a windstorm/hail deductible instead. The windstorm deductible is usually between 1 percent and 5 percent depending on the home's risk. So, if you live along the wind-whipped coastline, you will likely pay a higher deductible if there's damage. Now, you might think that having an additional deductible on top of your regular home insurance deductible isn't fair. However, insurers view this differently. Insurers want to limit risk. If they find your home's location risky, they will look for ways to protect themselves. One way to do that is to add a second deductible. You, as a homeowner, may be able to prevent these second deductibles. If your insurer wants to include a hurricane or windstorm/hail deductible on your policy, see what measures you might be able to take to lower your risk. For instance, maybe your insurer won't impose a second deductible if you protect your house with hurricane shutters. It's worth asking your insurer if there's anything you can do to avoid paying a second deductible -- and don't wait for a storm to ask. What if no one will insure me? Homes in high-risk areas might have trouble finding insurance. The good news is there's another alternative. 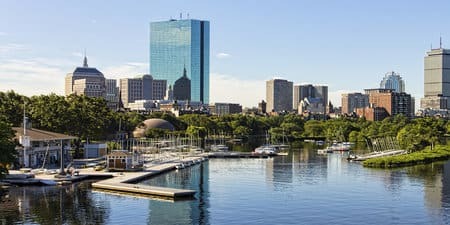 The Massachusetts Property Insurance Underwriting Association provides the FAIR Plan for properties where homeowners aren't able to find coverage elsewhere. This could include areas you see on the news each winter that get whacked by nor'easters. FAIR plans are similar to other home insurance policies, but are geared for properties considered risky by private home insurance companies. If you need to file a claim, make sure to notify your insurance company as soon as you can. Don't make repairs on your own unless you need to stop further damage. For instance, if a storm causes a hole in your roof, you can patch the hole, but don't perform more work before your insurer sends a claims adjuster to review the damage. Make a list of the damage and take photos. Don't throw out the damaged property until a claims adjustor or insurer says you can. They will likely want to see the damage. If you have a problem with what the insurer will give you for the repairs, you can demand an appraisal, file a complaint with the Massachusetts Division of Insurance or file a claim in small claims court. If you're having trouble with an insurer, such as not paying your claim, you can notify the Massachusetts Division of Insurance's Consumer Services Section at 617-521-7794 or 877-563-4467 or go to the Division of Insurance website where you can fill out a complaint form.